Dozens of northern California residents are expected at the UC Hopland Research and Extension Center on Saturday to take part in activities to celebrate California Archeology Month, reported Sarah Reith in the Ukiah Daily Journal. "Archaeology for All" is offered jointly by Hopland and local Tribal Historic Preservation Offices. The research center is located on historic Hopland Pomo land and is the site of many rocks that were used in rituals thousands of years ago, the article says. Visitors on Saturday will see tribal markings on the site which are thought to be more than 5,000 years old. "It's not artwork," said Donna Gillette, an archaeologist who specializes in rock art. "It's a good chance (the markings) are the result of ritualistic quarrying of material, probably for increase," or human fertility. 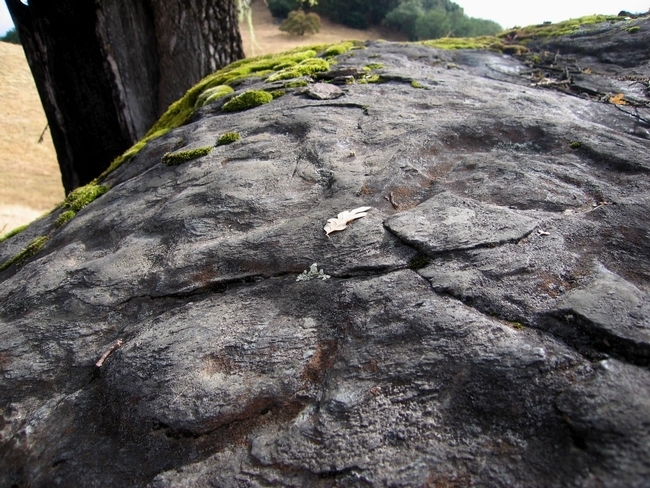 Before beginning to study rocks at Hopland, Gillette asked permission from the tribal group. The Historic Preservation Offices assigned Shawn Padi to work with her. Padi and another representative of the Tribal Historic Preservation Offices, Hillary Renick, will present talks at Saturday's event. Renick also plans to prepare and serve acorns, a traditional Native Californian stable, to participants. The event will be at Rod Shippey Hall, 4070 University Road, in Hopland, from 10 a.m. to 2 p.m. on Saturday, Oct. 10. Tickets are $10 for adults. Children under 12 will be admitted free. Advance reservation required. For more information, call Hannah Bird at (707) 744-1424 ext. 105. 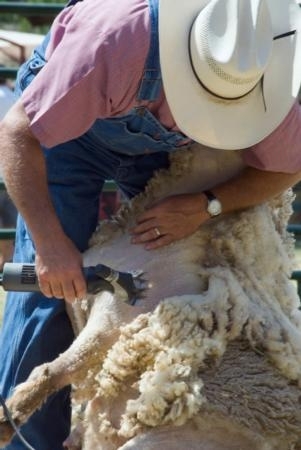 Sheep shearing is an art that can be learned at the UC Hopland Research and Extension Center. UC Agriculture and Natural Resources (UC ANR) is helping get a new industry off the ground in Mendocino County, reported Justine Frederiksen in the Ukiah Daily Journal. The UC Hopland Research and Extension Center, a UC ANR facility, hosts an annual Sheep Shearing School, thought to be the only one in California. The students take a five-day hands-on course to learn how to maintain a quality wool clip and minimize stress to the sheep. "It's like learning to square dance," said instructor Gary Vorderbruggen. "Except you're learning to dance with an unwilling partner." UC ANR Cooperative Extension natural resources advisor John Harper facilitates the school in Mendocino County. 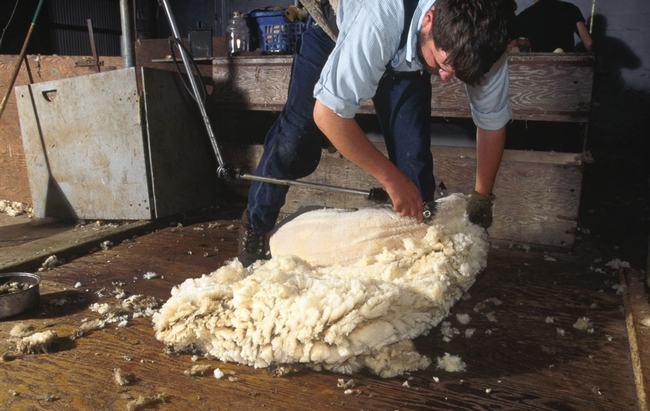 "I always say, you'll never be unemployed if you learn how to shear," Harper said. "There's never enough shearers." One local resident who attended Sheep Shearing School twice, Matthew Gilbert, was inspired to open a local wool processing enterprise. "It's the perfect fit for this county, because it will provide jobs for this rural economy," Harper said. 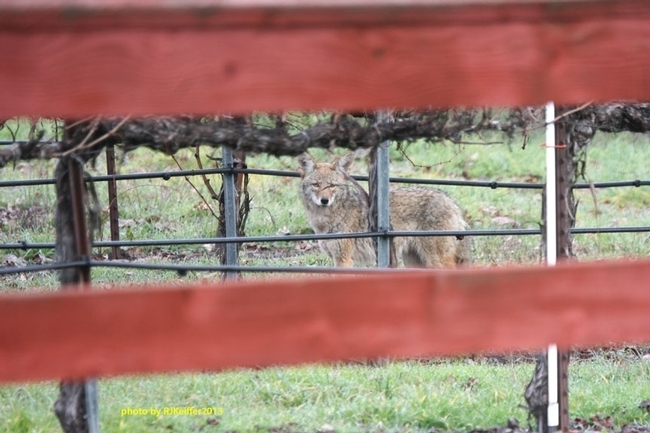 Many wineries are using sheep to clip cover crops because the sheep can't get up on their hind legs like goats to reach the foliage. Even as more sheep are working local vineyards, "we're losing the infrastructure to support the (sheep) industry," Harper said. Last week, the Ukiah Planning Commission unanimously approved permits for Gilbert to operate a wool mill and food truck on his property, said another article in the Ukiah Daily Journal. The food truck will help supplement the family's income for the first couple of years until the mill becomes established. Further enhancing local interest in the Mendocino County sheep industry, the Hopland REC hosts a Barn to Yarn event from 10 a.m. to 2 p.m. May 23. Visitors will see shearing, spinning and weaving demonstrations and learn how to class wool and dye it using Kool-Aid. Admission is $5 per person, and children under 12 are free. The Hopland REC is at 4070 University Rd., Hopland. For more information, call Hannah Bird at (707) 744-1424, ext. 105.